The 4th of August 2019 will see the commencement of the events with the finals of the 6s tournament taking place on Tuesday the 6th of August and the finals of the 7s event taking place on Saturday the 10th of August. The future of Indoor Netball is firmly in the hands of all of the nations who are showing their continued support of our sport. 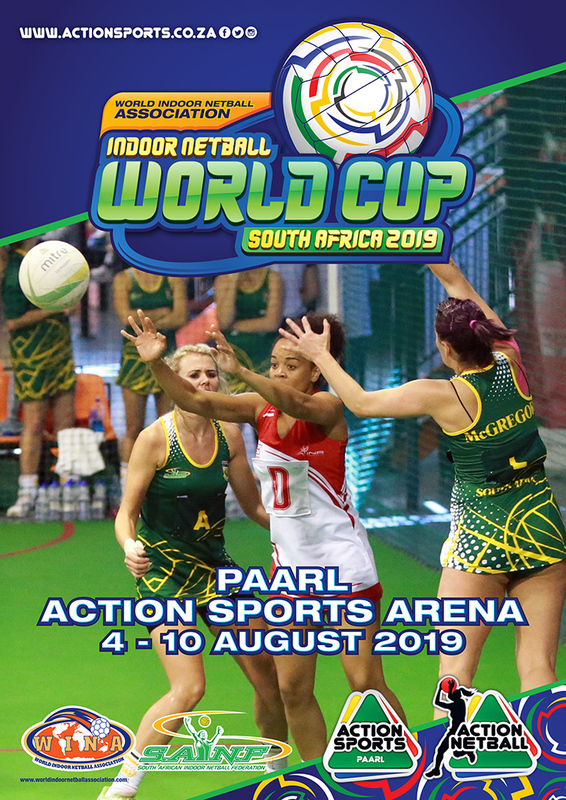 In anticipation, I would like to wish the South African Indoor Netball Federation all the best in hosting this prestigious event and in particular the Paarl Action Sports Arena. South Africa is an amazing destination and we certainly hope that you take time out to visit our country after the event.  Paarl Action Sports “Home of the Rhino’s” is a three court arena which has a fully licensed bar as well as an Action Deli and Kiosk. 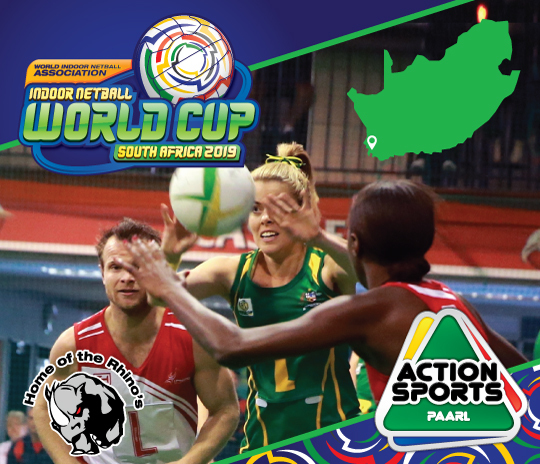 Situated in Groienheuwel area, there is plenty for the players to see and visit. Wine farms are a stone throw away with a variety of restaurants in and around the town and Heritage sites to visit. Paarl, a mere 60 kilometers from Cape Town and less than an hour by car from the golden beaches of the Indian and Atlantic Oceans, is renowned not only for its illustrious past and unrivaled scenic beauty, but also presents holiday makers an exciting Tourist Destination. Paarl is one of the oldest towns in South Africa and particularly known for its mountain or "Paarl Rock". The huge granite rock is formed by three rounded outcrops that make up Paarl Mountain and is the second largest granite outcrop in the world. 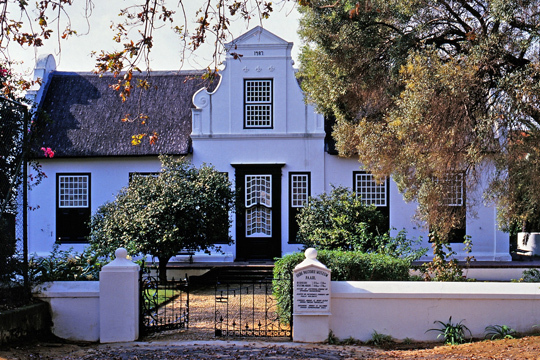 Paarl boasts a unique attraction in the fact that the foundations of a new language, Afrikaans, a combined Heritage of Africa. 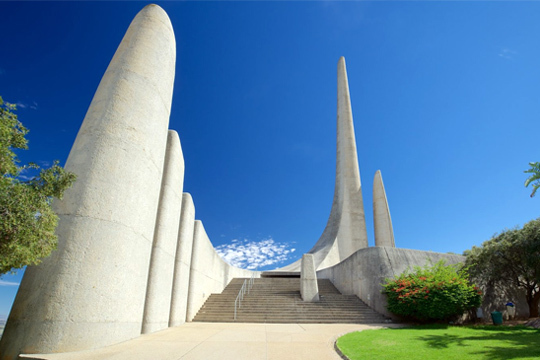 The Monument to the Afrikaans language on the slopes of Paarl Mountain, the Language Museum and the Afrikaans Language Route through Dal Josaphat are living Memorials to this achievement. 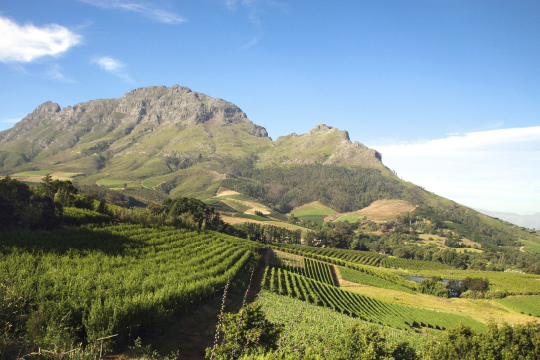 Paarl's scenic splendour, with five mountain passes and magnificent surroundings, the Berg River majestically winding its way through and bringing life to deciduous fruit orchards and vineyards right up to the heart of the Town, and luxuriant vegetation, provide sufficient incentive to pay Paarl a visit. Add to this the rich Heritage of well preserved Historic Buildings scattered through the town, the large number of top-quality Restaurants offering traditional Cape cuisine, accommodation for tourists in Hotels and on Farming Estates, and the inevitable Wine industry - and you no longer have an argument in favour of visiting Paarl but an obligation to do so. 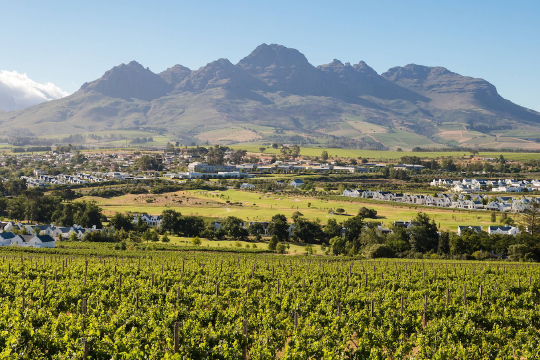 As far as the Wine industry is concerned, Paarl boasts the headquarters of the industry in South Africa, the co-operative Wine Growers' Association (KWV) and the Paarl wine route. 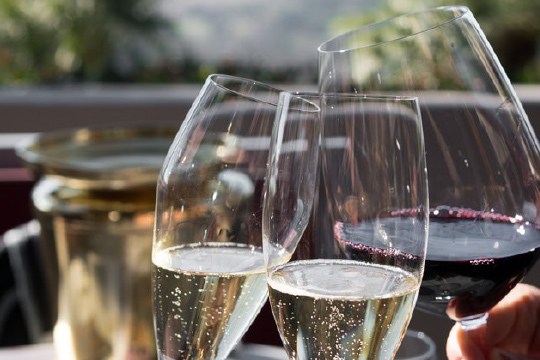 The KWV is a South African institution that over the years has acquired an international reputation because of its unique achievements and its imprint of quality on the industry. Other attactions include the Paarl wine route, Ostrich Farm, Le Bonheur Crocodile Farm, Butterfly World and much much more.